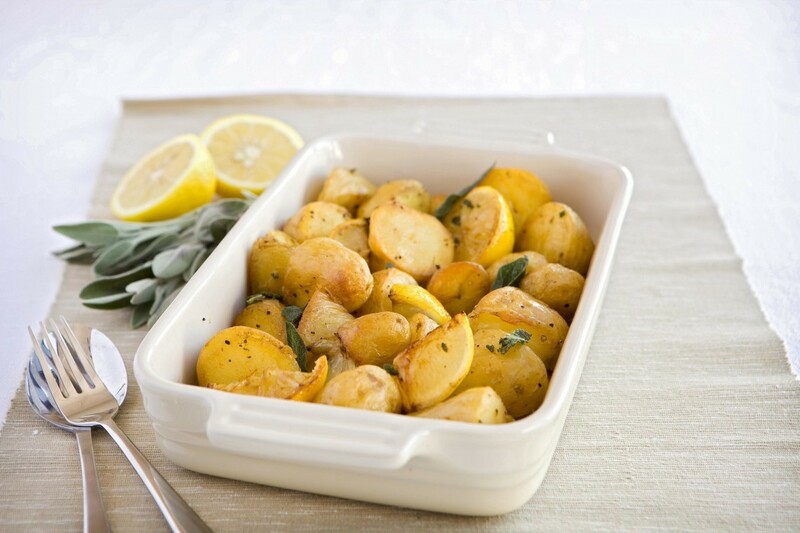 Roast potatoes with a refreshing lemon twist adds another dimension to dinner time. 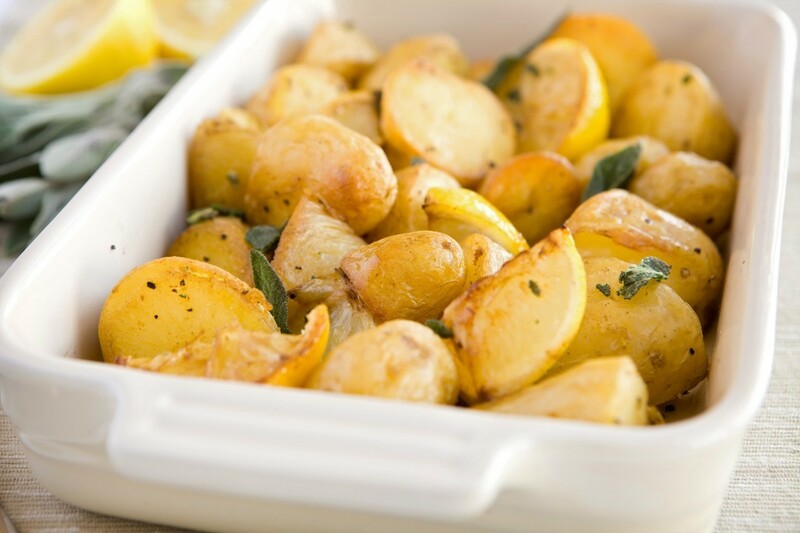 Why not try these flavourful zesty roasties instead of plain ones with a succulent pork joint or roast chicken? 2Wash the potatoes and cut larger ones in half. Steam or boil in salted water for around 5 minutes to par-cook. Drain, then toss them in enough olive oil to coat well and put in a roasting tin with the lemon and seasoning. 3Roast for around 30 minutes, turning occasionally, until the potatoes are cooked and golden. 4Heat a small amount of olive oil in a frying pan and quick-fry the sage leaves for 5 – 10 seconds. As soon as they’re done, remove from the pan and drain on kitchen paper. 5Squeeze the lemon quarters over the potatoes and crumble the crispy sage leaves on top. Season to taste and serve. This spicy chermoula fish and Cornish new potato tagine is sure to get your taste buds tingling. Why not try making your own chermoula spice paste?